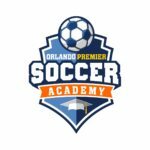 FEES & PAYMENT OPTIONS - ORLANDO PREMIER SOCCER ACADEMY (407) 906 0025 - O.P.S.A. O.P.S.A offers 4 sessions for $ 140.00 per player. Minimum 4 players in the same age group.